NLA Publishing has acquired world rights to picture book Hiding Moon, written by Emma Allen and illustrated by Sher Rill Ng. Publisher Susan Hall acquired rights directly from Allen, while illustration rights were negotiated by Danielle Binks at Jacinta di Mase Management. Inspired by shadow puppets that Allen found in the library’s collection, Hiding Moon features shadow play or ‘shadow puppetry’ and draws heavily on traditional Southeast Asian storytelling methods, especially those from Indonesia, Malaysia, Thailand and Cambodia. 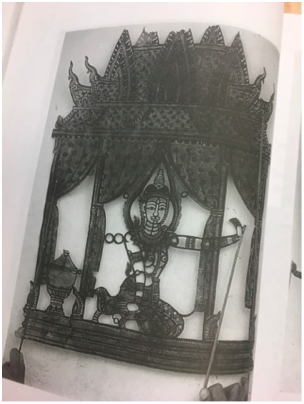 A nonfiction section at the back of the book will include information about the shadow puppet tradition and this aspect of the NLA’s collection. Allen is the author of 2012 picture book The Terrible Suitcase (illus by Freya Blackwood, Omnibus), which won a Children’s Book Council of Australia Book of the Year award. Ng, who is the author and illustrator of Our Little Inventor (A&U, April 2019), says it is ‘a huge honour’ to be invited to illustrate for Hiding Moon, adding that a big draw-card of this project is its celebration of different cultures. ‘I love that diversity is becoming more prominent in all forms of storytelling, and this is no exception,’ she said. Hiding Moon is scheduled for release in 2020.